The Royce embodies maximum sophistication in a minimal design. 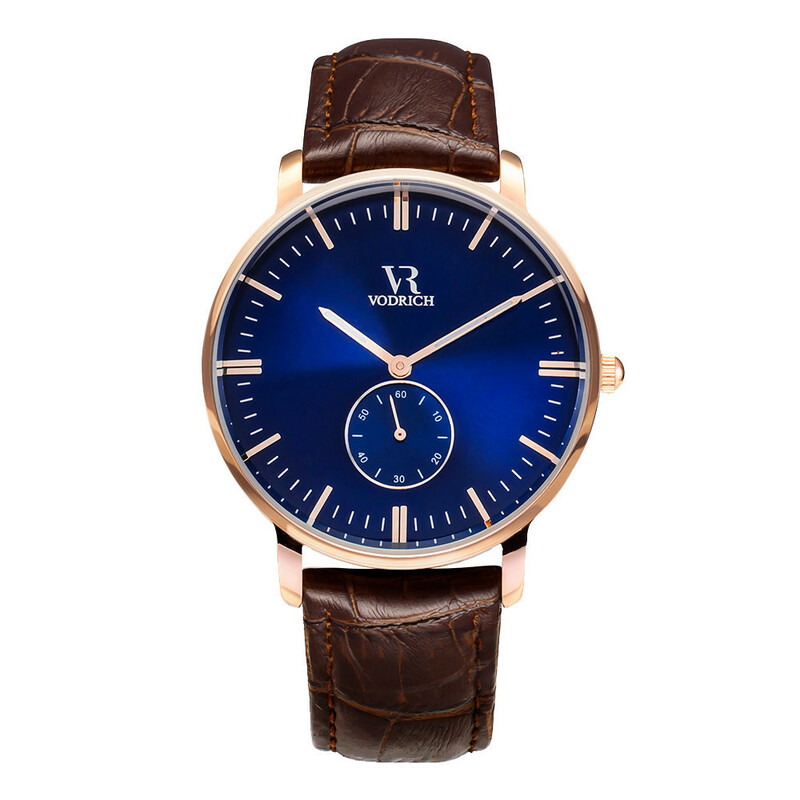 Combining a rich navy blue dial and a dark brown genuine leather band, it will make you stand out in any crowd. 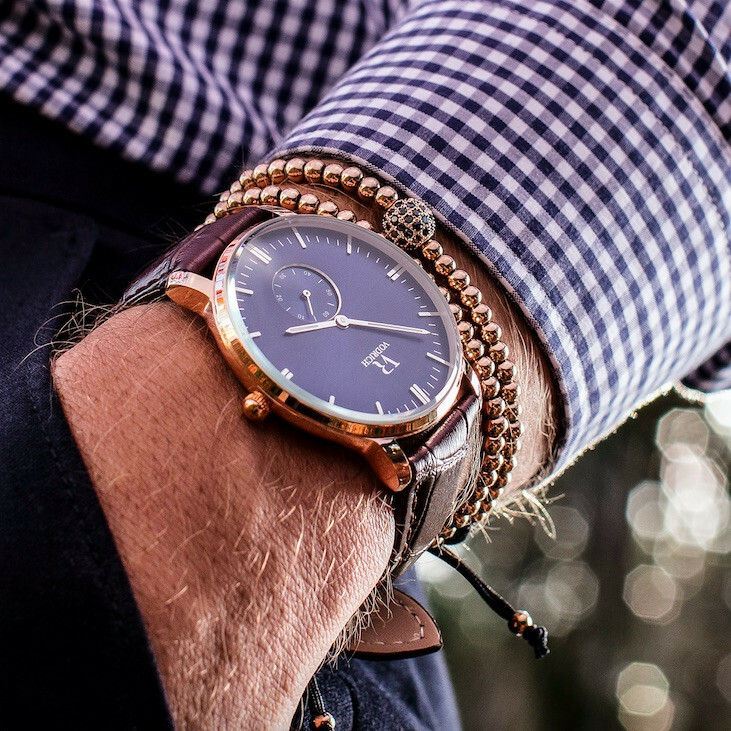 Featuring a unique second dial with polished rose gold hands, this classic timepiece is designed to suit all occasions. 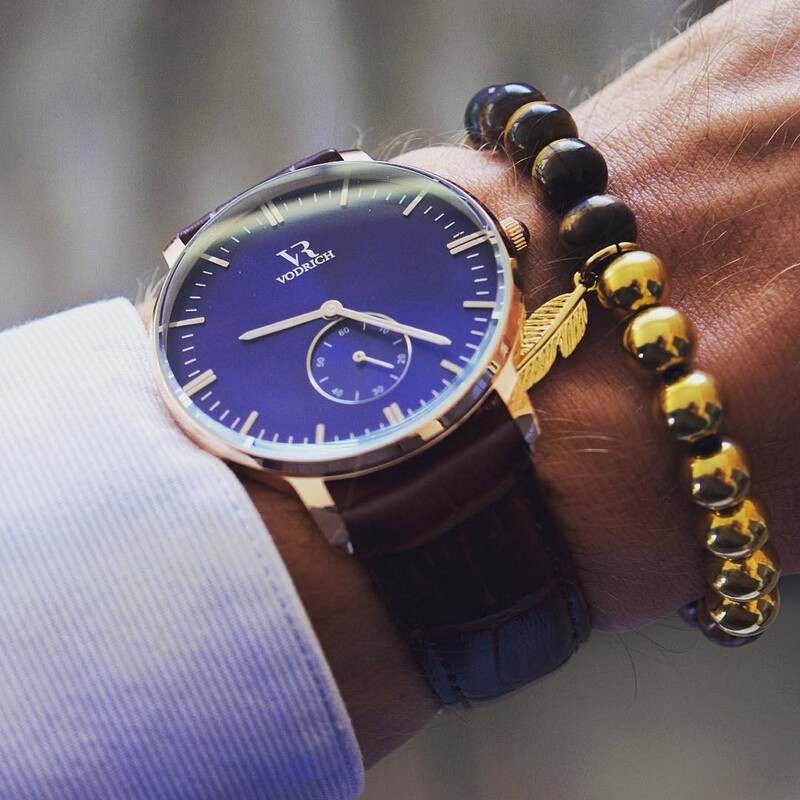 It is a watch that can be worn as a casual lifestyle piece but will never fail to impress in a formal setting. ROYCE now available at Vorich for only $75. FREE world wide shipping!